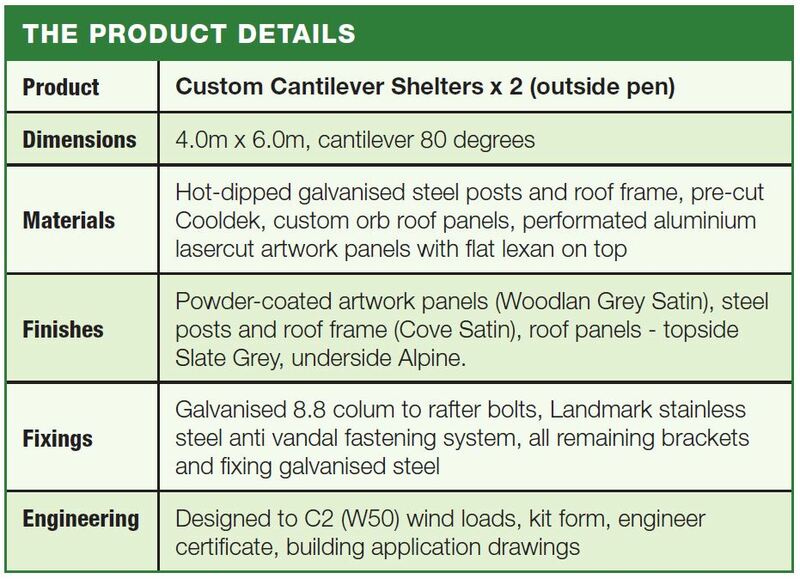 At 4.3 metres long, The Colonel is just a little a little longer than the two 4x4m King Shelters Landmark Products supplied for his holding pen. 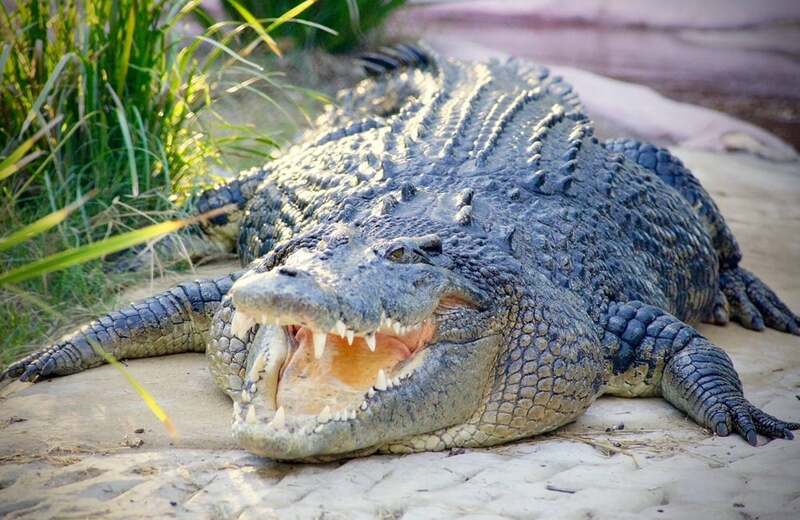 Judging by the teeth he shows, this giant salt water crocodile at Rockhampton Zoo is happy to have some permanent shelter during the heat of the day. Installation of these two shelters took a little longer than normal, because The Colonel could only be removed for six hours a day, once a week, after being tempted into holding pen next door by a juicy carcass. One week The Colonel just wasn’t interested in moving, so understandably, installation of the shelter that day was cancelled. Landmark also supplied two beautifully modified King Shelters, designed for aesthetics and to provide maximum shelter to visitors to The Colonel’s pen. 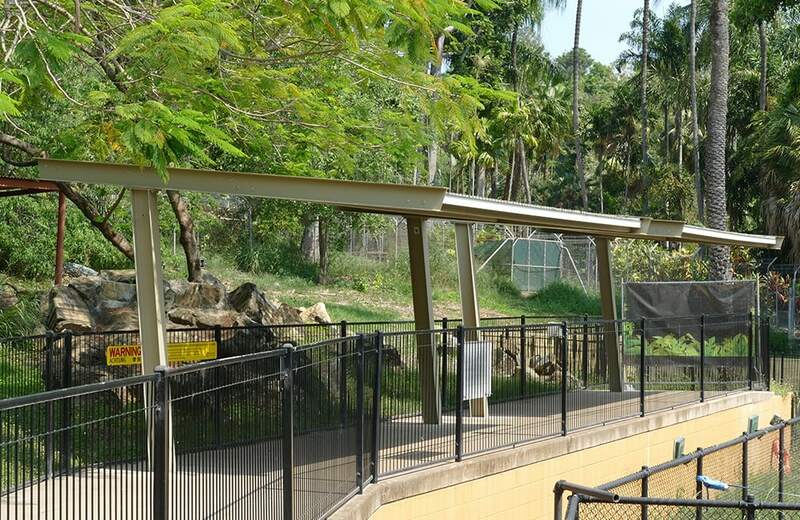 The roof of the modified King shelters, installed at the side of The Colonel’s pen, are cantilevered at 80% instead of the standard 90%, thus giving a little more shade from the western sun. The front of the roof is insulted with Cooldek, giving even greater protection from the sun’s heat. 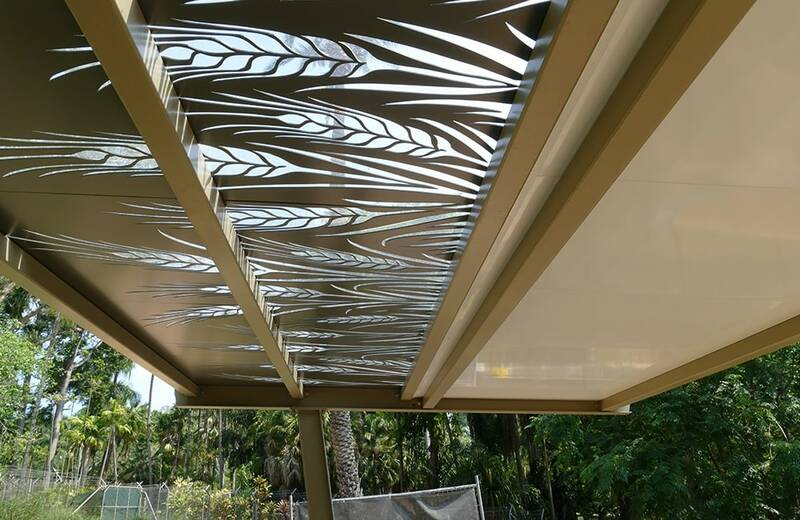 Laser cut aluminum panels, featuring a wheat-inspired pattern, layered by 3mm UV stabilized Lexan sheeting, make these shelters truly unique. 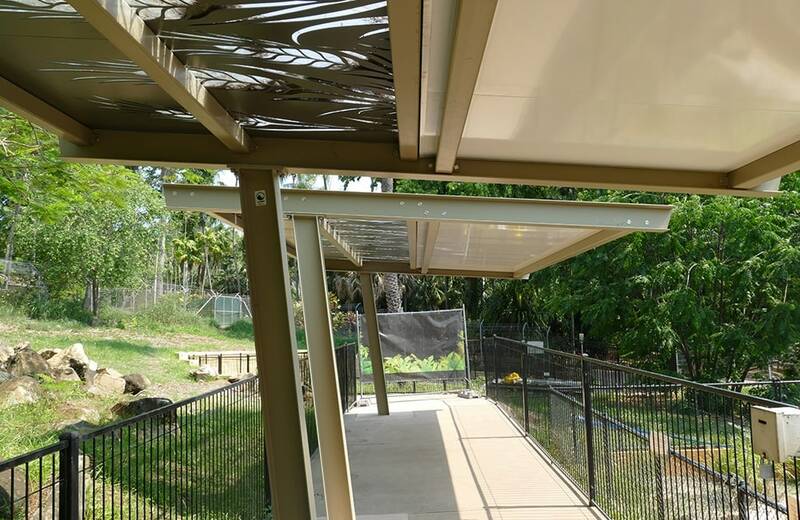 Due to the location in northern Queensland, all four shelters are designed to C2 (W50) wind loads and are secured by inground base plates for maximum strength. So, The Colonel, and his visitors get to enjoy more shade. The Colonel is the only occupant in his pen due to his chequered history with “roommates”. 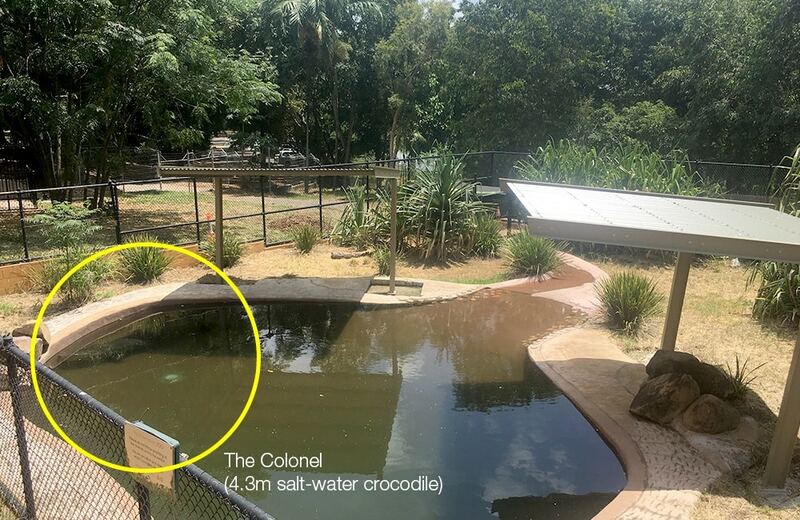 Before he was moved to the Rockhampton zoo, The Colonel was at a crocodile farm where his job was to breed, but since he used to eat females, his stay was short.